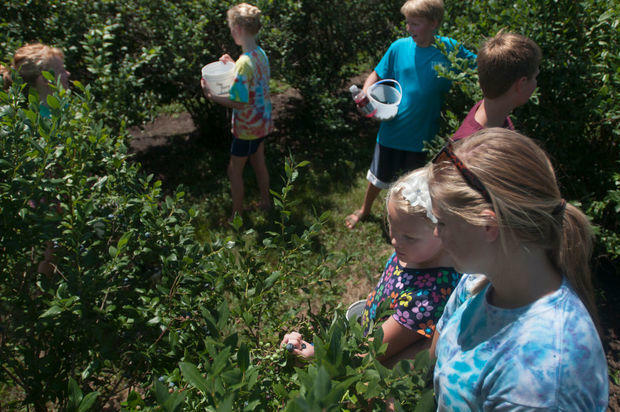 If you are living in mid-Michigan or are traveling near by, Russell's Blueberry Farm and Book Barn is the best place to get fresh, delicious blueberries. Our farm stretches across 84 acres and is located about 8 miles west of Saginaw, near Freeland. 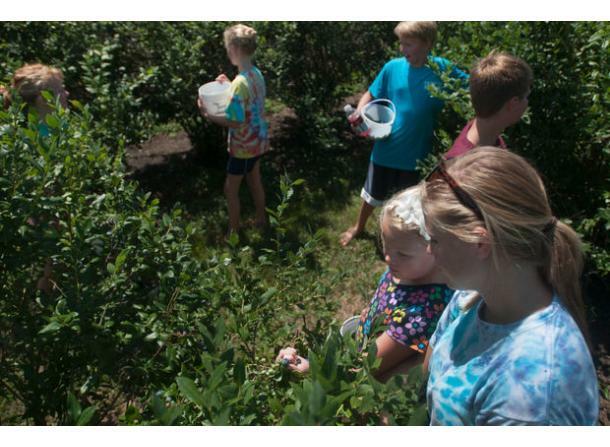 Our farm contains over 25,000 blueberry plants from 12 different varietals. This large variety means we have a longer growing season than most farms (Starting the week after July 4th through Labor Day, and often longer) and allows us to provide the right type of berry for you, whether you're planning on making a pie, jam, muffins, or just eating the berries! Our property also includes a 10-acre lake, picnic tables and swings for your enjoyment and relaxation. The farm is now handicap accessible, including restrooms. We welcome service animals, but please leave your pets at home. Pick your own blueberries July to September. Delicious homemade blueberry muffins, pies, and ice cream are a big hit with guests. 10 acre lake with picnic tables. Bookstore in barn with over 500,000 books and open year- round by appointment. Group tours available for a fee.